Medically, lemons acts as an antiseptic - an agent that will prevent infection or putrefaction. They are also anti-scorbutic, which means a substance that will prevent scurvy. They also assist in cleansing they system of impurities. The lemon is a wonderful stimulant to the liver and is also a solvent for uric acid and other poisons. It liquefies the bile and is very good in cases of malaria. Sufferers from chronic rheumatism, rickets, tuberculosis, and gout will benefit by taking lemon juice, as will those who have a tendency to bleed or have uterine hemorrhages. During pregnancy it will help to build strong bones in the child. We find that the lemon help to build strong bones in the child. We find that the lemon contains certain elements that help to build a healthy system and then to keep that system healthy. The lemon, owing to its potassium content, will nourish the brain and nerve cells. Its calcium strengthens the bony structures and makes healthy teeth. The minerals found in lemons have an important part to play in the formation of plasma - the fluid portion of the blood. A single average-sized lemon contains phosphorus, 16 mg; sodium, 2 mg; calcium, 26 mg; potassium, 138 mg; vitamin C, 53 mg and iron, 0.6 gm. Lemons are useful in treating asthma, biliousness (gas), colds, cough, sore throat, diphtheria, influenza, heartburn, liver complaints, scurvy, fevers, and rheumatism. For diphtheria, use pure lemon juice every hour, or more often if needed. Use either as a gargle or swab the throat with it. Swallow some until it cuts loose the false membrane in the throat. For sore throat, dilute lemon juice half-and-half with water and gargle frequently. It is better to use it full strength if possible. A slice of lemon tied over a corn overnight will greatly relieve the pain. A slice of lemon tied over a felon will not fail to bring the pus to the surface where it can be easily removed. For liver complaints, the juice of a lemon should be taken in a glass of hot water one hour before breakfast every morning. To break up influenza, take a large glass of hot water with the juice of a lemon added, while at the same time keeping the feet in a deep bucket or other vessel of hot water. Have the water deep enough so that it comes almost to the knees. Keep adding water as hot as the patient can stand it for about twenty to thirty minutes, or until the patient is perspiring freely. Be sure there is no draft on the patient while this is being done. The patient should be near the bed so he can get into bed without moving around, thereby avoiding any danger of getting chilled. If it is convenient, a full hot tub bath would be good in place of the foot bath. The lemon water should be taken every hour until the patient feels that all symptoms of the cold are gone. A teaspoon of lemon juice in one-half glass of water will relieve heartburn. Lemon juice is an agreeable and refreshing beverage in fevers if the bowels are not ulcerated. For rheumatism, one or two ounces of lemon juice freely diluted should be taken three times a day, one hour before meals and at bedtime. In case of hemorrhage, lemon juice diluted and taken as cold as possible will help stop it. 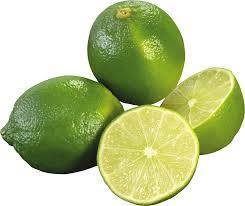 Scurvy is treated by giving one or two ounces of lemon juice diluted with water every two to four hours. In excessive menstruation, the juice of three or four lemons a day will help check the bleeding. It is best to take the juice of one lemon at a time in a glass of cold water. That would depend on how it was taken. If in quantity - yes, but if taken very weak at first, diluted with water, it will eventually cease to burn. The sufferer afflicted with an ulcerated stomach has to use great perseverance to effect a cure, but it can be cured if care and patience are used. The gastric juice in the stomach is four times as strong as lemon juice. It should be especially remembered that it is a wonderful remedy for colds, influenza, and all kinds of fever. Always take without sugar. I wish that humanity would understand the real value of the lemon and learn to make a real medicine of it.